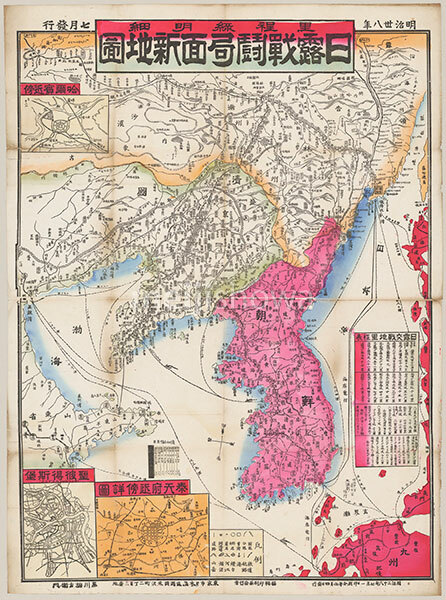 Woodblock print map of the Russo-Japanese War (木版刷日露戦闘局面新地図), published in 1905 (Meiji 38). The war took place from 1904 through 1905 and transformed the balance of power in East Asia in favor of Japan. Original dimensions: 79×106 cm.